1083-01 high-res image, 1083-02 high-res image. 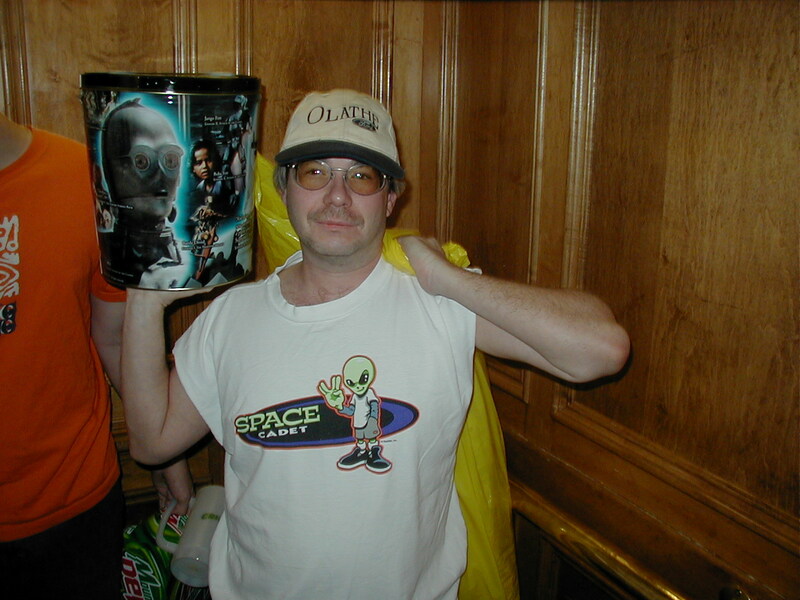 Mike Smalley, wearing a "Space Cadets" t-shirt from the KaCSFFS bowling team of the same name. 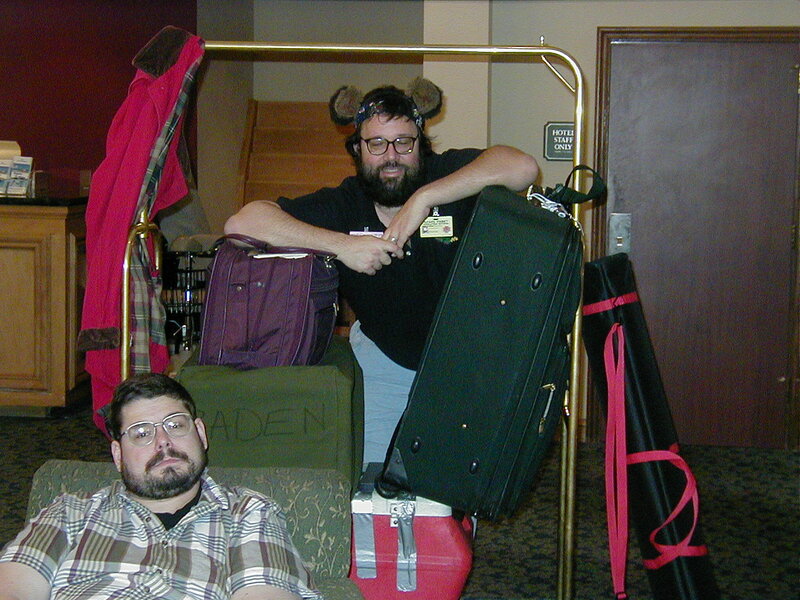 Erik V. Olson in a comfy chair, Chaz Boston Baden with a cart full of luggage. 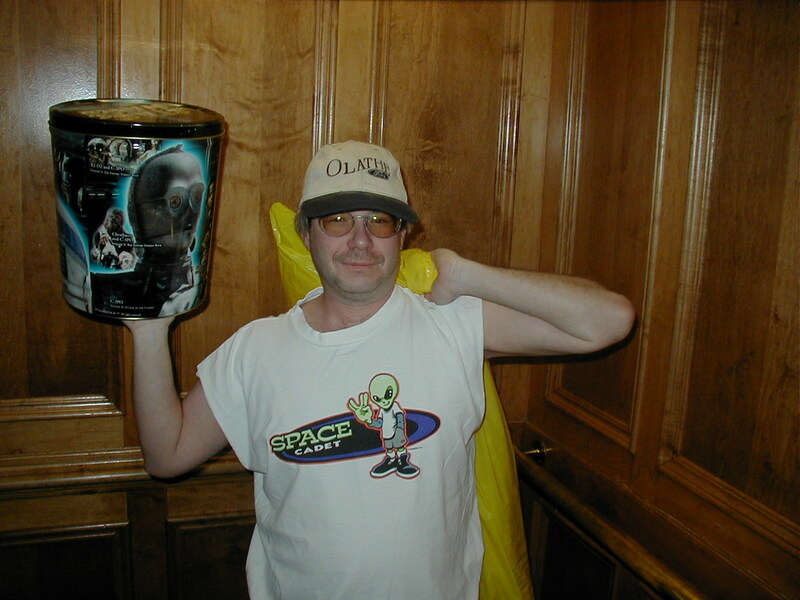 Erik V. Olson in a comfy chair, Chaz Boston Baden with a cart full of luggage, Tina Black and someone else passing by in the background. Kansas City Int"l Airport ("MCI") on our way home. Ontario Airport, CA ("ONT") six and a half hours later. Little kids playing with baggage conveyor belt.